I’m sure those who know me can imagine how excited I am about today’s guest…I admit, I haven’t read the book yet, but with a title like that, you can bet I’m going to. 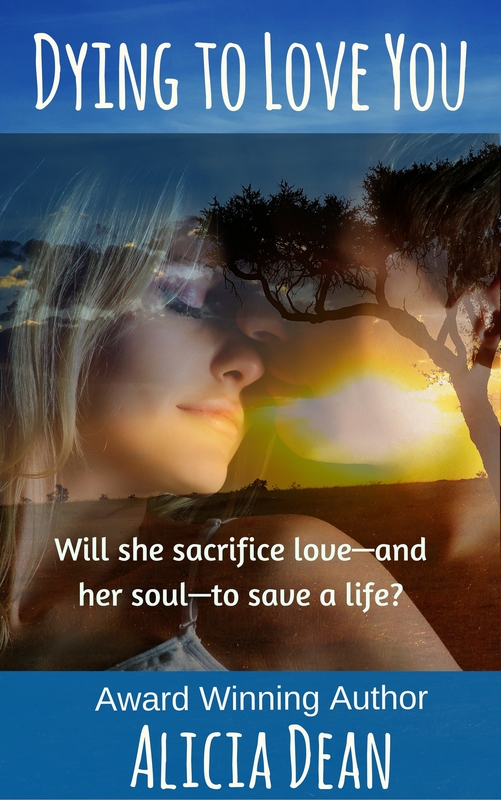 Please help me welcome Josephine, with an intriguing book and a truly fascinating interview…. One trivial decision can change a whole life. In Those First Bright Days of Elvis, Book I of the YA series, The Days of Elvis. When fifteen-year-old Julie Morgan makes a casual decision to attend a concert at the football stadium of her Arkansas hometown her life is irreparably changed. At the concert she encounters three strangers: a lookalike, who could pass for her twin; a college boy, who will be the love of her life; and Elvis Presley, with whom she forms an unlikely friendship as his “good luck charm,” before his meteoric rise to fame. Julie, a small-town girl bound by the social code of the 1950s, makes a serious mistake in in her attempts to cope with her broken home and bolster her damaged self-esteem. One misstep leads to another, and another, and yet another, ultimately catapulting her into a terrible dilemma with no apparent way out. In Those First Bright Days of Elvis weaves a story of human anguish and betrayal, love and loss, recrimination and regret, and shows how choices, once made, can change one’s life forever. The book meticulously recreates the “golden days” of drive-in movies, screen wire petticoats, and flashy American cars, when the world seemed brighter and more innocent than today. But was it? After working many years in theatre and film as a director and as a professional actress, Josephine Rascoe Keenan retired to focus on writing novels and short stories for young people. 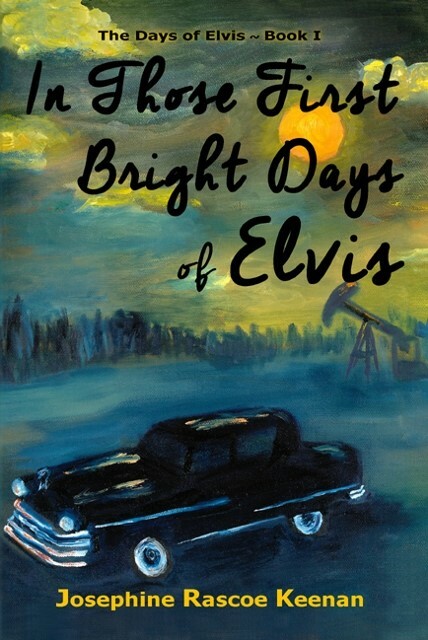 In May of 2016 Pen-L Publishing launched her debut novel, In Those First Bright Days of Elvis, Book I of a series entitled The Days of Elvis, about a young girl with an absentee father. Book II, In Those Dazzling Days of Elvis, launches in June of 2017. Two of Josephine’s stories have appeared in the teen magazine, Cricket, and her poem, A Ride on Grandpa’s Foot appeared in Modern Maturity magazine. Her plays have toured with Artreach Touring Theatre; and one was chosen as a winner of Ensemble Theatre of Cincinnati’s New Play Contest. I was born and raised in Arkansas’s oil patch, El Dorado, city of “black gold,” where In Those First Bright Days of Elvis is set. We make it more southern and call it El Duh ray duh. I now live in Cincinnati, Ohio with my husband Frank and two feline princesses, Katie Katherine Kalico and Molly Underfoot. Where did you get the idea for In Those First Bright Days of Elvis? I have always preferred historical fiction to dull history books we studied in the classroom. I wanted to give young people of today a glimpse of what life was like in the middle of the 20th century—how it was similar, and how it was different. The most difficult thing for me was finding information about how to actually write a book. I wrote two other books, yet unpublished, before writing In Those First Bright Days of Elvis. Just because you may be good at English grammar and love to read, doesn’t mean you have the know-how to construct a plot and create characters your readers will love. The first thing I learned about writing novels was that without trouble for the main character, a book is not interesting. This led me to the next step, the creation of a compelling plot and characters that people could relate to. I strongly believe that my work in theatre has helped me to write convincing dialogue for my books. With regard to this book, the most difficult part was doing the volumes of research necessary to give authenticity to a work of historical fiction, even though the story stems principally from the imagination. The only real person in the books is Elvis Presley, and his dialogue and letters are fictional. All of Elvis Presley’s concerts, recording dates, and appearances used in the book were thoroughly researched. The Hillbilly Amateur Show, which occurs in Chapter One of In Those First Bright Days of Elvis really did take place on October 17, 1955, at the War Memorial Stadium in El Dorado, Arkansas. According to eye witnesses who attended the concert, he wore the clothes described in my book. All other events and characters, no matter how much they may remind you of someone you know or knew, are totally fictional. Naturally a writer draws on human characteristics to create a credible character, but it is more fun, in my opinion, to make up a character than to describe someone real. In those days there was no Drivers Ed in the schools; parents taught kids to drive. The first thing I learned about driving was to back down the driveway. The idea was if you could back up, it was a piece of cake to go forward. In the small town of El Dorado we got our learner’s permits as young as age 12. By age 14 we were fully licensed to drive, when and if our folks would let us have the car. The only drugs we knew of were prescriptions from the doctor, or aspirin for headaches, and coke syrup for upset stomachs. Our teachers could give us a hug to show they valued us and a whipping if we didn’t “sit down and shut up” when told. It went without saying that if you got a whipping in school, you got another one when you got home. Parents backed the teachers and Principal. In spite of threats, few kids were ever whipped in school. The presence of the wooden paddle with holes in it lying on the teacher’s desk was enough to deter most misbehavior. We were full of energy and found it difficult to sit still and study all day, but we did so, rather than take the consequences. School was interesting and fun, once you bit the bullet and realized you had no choice except to knuckle down. When I grew up, there were no cell phones, no computers, and few families had televisions. I was fourteen years old before we got a TV in our home. Kids today don’t know how lucky they are not to have to sit at home and wait for their boyfriends or girlfriends to call. Another tidbit: Girls did not call boys in those days. They had to wait for the boy to call them. I would have to say A Year Down Yonder, by Richard Peck—a brilliant writer. If you haven’t read it, I highly recommend it, as well as the two companion books, A Long Way from Chicago, and A Time of Giving. All three books will touch your deepest emotions, bringing tears as well as side-splitting laughter. These books, though written for kids, must surely attract a huge crossover readership, for they so accurately and humorously reveal human nature and devoted family life. What is your favorite book of all time? What is your favorite childhood book? My favorite book of all time must be Gone with the Wind, although I have read and delighted in many books. To name a few: Anya Seton’s Katherine; Mary Stewart’s Merlin Trilogy (The Crystal Cave, The Hollow Hills, The Last Enchantment); Désirée by Annemarie Selinko. I’ve enjoyed many classics, including Eliot’s Silas Marner, Hardy’s Far From the Madding Crowd, Hemmingway’s The Sun Also Rises, and Fitzgerald’s The Great Gatsby. I adore Gary Schmidt’s middle-grade books, especially Okay For Now and The Wednesday Wars, and how could I omit the great Harry Potter series? My favorite childhood books were the Little House books by Laura Ingalls Wilder, and Frances Hodgson Burnett’s The Secret Garden. When needing comfort, I still turn to Laura’s stories. I have had many jobs in my life, for acting and directing theatrical productions do not provide steady work. In New York, I worked for Goodson-Todman Television Productions on To Tell The Truth (daytime), a game show. I taught speech and drama for three years in the D. C. area, and I have worked with temporary employment services, such as Kelly Girl. For many years I supplemented my work in the entertainment industry as a realtor. But I always knew in the back of my mind that someday I would focus entirely on writing. In 2006 that day came. Somewhat regretfully, I abandoned my lifelong career in theatre and film to write fulltime for young people. Regretfully because I adored being in the world of entertainment and played some intriguing roles that brought me enormous gratification, as well as awards for excellence in both acting and directing. The most famous person I have ever met was Johnny Cash. We met when I was fortunate enough to be chosen for a feature role in his movie, The Pride of Jesse Hallum. During breaks when the film crew was busy lighting our stand-ins, Johnny and I sat on a log and talked about Arkansas, where we both hailed from. He was a truly admirable person. Over the course of my years in theatre, I’ve had the priviledge of working with many famous people. To name a few: Karen Grassle (known for Caroline Ingalls in the Little House on the Prairie television series) in As You Like It at the Colorado Shakespeare Festival; Daniel Davis (known for The Hunt for Red October and the sitcom The Nanny) in the Cincinnati Playhouse production of Hamlet; Robert Townsend (known for The Five Heartbeats) in the PBS Ket television series Another Page; major league Cincinnati Reds baseball star Johnny Bench in a Fifth Third Bank TV commercial; Patricia Neal narrated a PBS special I appeared in for KET called This Other Eden; Soupy Sales (known for What’s My Line and other TV game shows) in Tomboy Productions film This Train. I want readers get in touch with their emotions as they read not only this first book in The Days of Elvis series, but also the next two, In Those Dazzling Days of Elvis, (coming out in June 2017), and In Those Glory Days of Elvis, (coming out in the spring of 2018.) I hope that they will laugh, cry, and relate to the characters. I hope the book will stir their emotions and touch their lives in such a way that they will see that people are pretty much the same today as they were in that historic time period known as the Birth of Rock ‘n’ Roll. Most of all I hope they will find answers to their own problems through the characters and their choices. I would invite the following actors to audition. In my own directing of theatrical works, I never precast a show. It is so important to evaluate how actors sound and look together as an ensemble. Thank you, Alicia, for your support and thanks to your readers. Visit me at www.KeenanNovels.com, and sign up for my blog. I enjoyed the interview very much, and the book sounds great too. Truly enjoyable interview, Josephine. I imagine I’d love your book(s). Taking a bit of creative license, I bet I could time-shift into the 60s and pleasantly escape. Best of luck with your releases. Thank you, Joelle. I hope you enjoy it. Book sounds like a winner too. God’s blessings to you, too, Pam. Thanks so much. I feel a kindred spirit with any fan of Elvis! As a child of the 60’s I kibitzed on 5-year-older twin brothers who came of age in the 50’s, Thus, I am entirely at home with your “historic” setting. Great interview; we love all the same writers, I might add. Anya Seton – I loved her historical fictions. Best wishes and if that movie comes to life, let me know HOW you did it! Thanks so much for your comments. I am trying to “picture” the movie happening, as well as asking the universe, “Where is my movie?” Let’s hope it works! This sounds like a beautiful story! Seems to weave with all kinds of emotions. And I love your choices for people who would play your characters! Thanks, Kara. I hope you get a chance to read all three of the books in the series. This sounds right up Alicia’s alley & since I now have a Kindle, I have added it to my TBR. Unique. Thanks, Linda. Let me know how you like it.